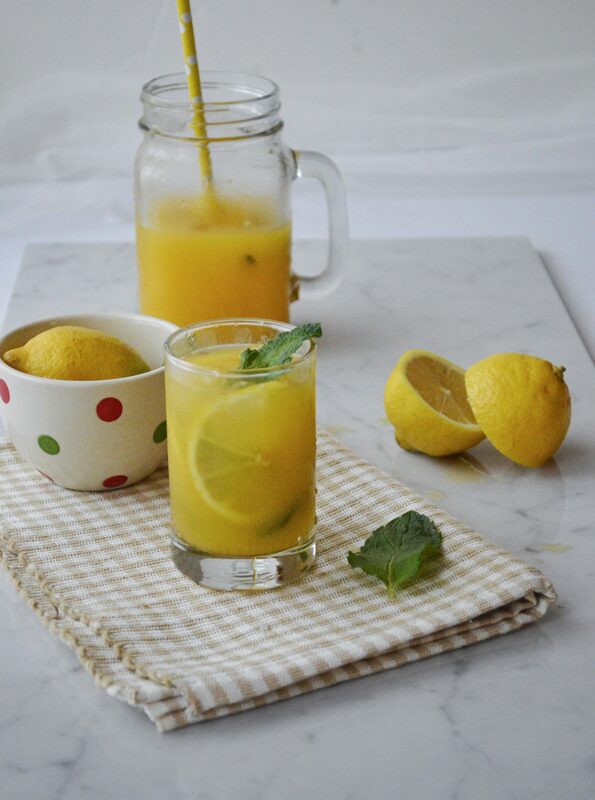 Ramadan is almost coming to an end and i was just thinking that i didn’t post any drinks recipe yet. 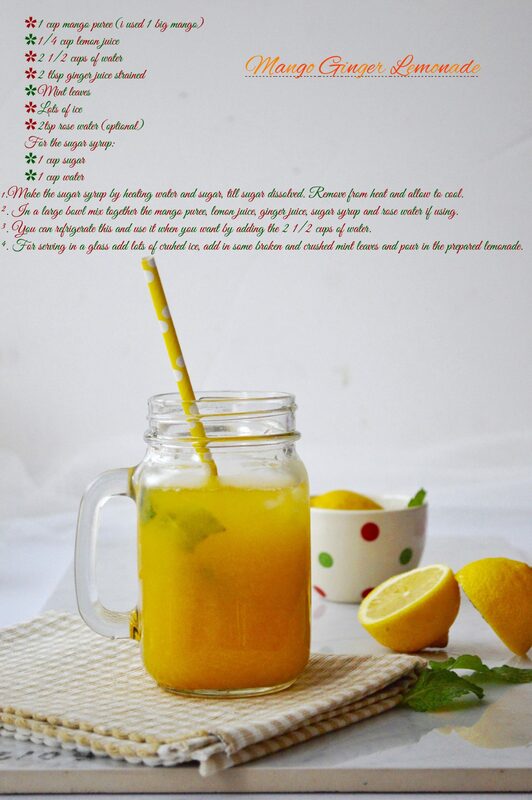 So here is the recipe of a very refreshing and delicious mango lemonade with a nice kick of the ginger. 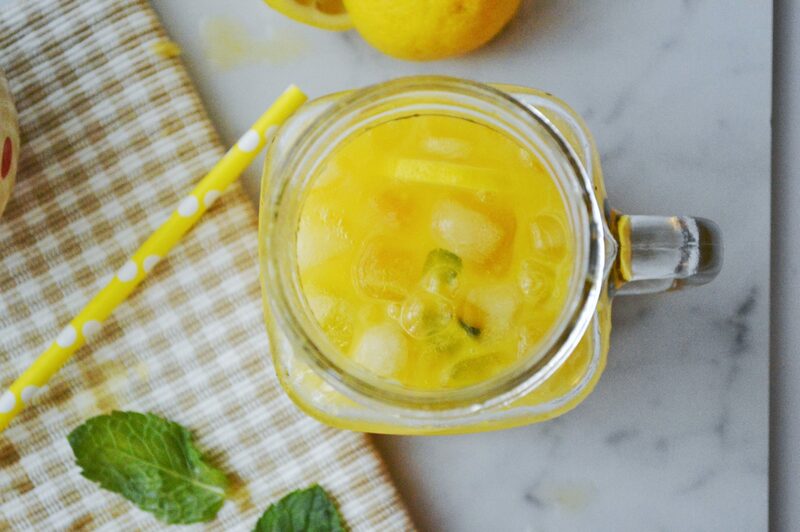 Hot summer days call for this mango ginger lemonade. 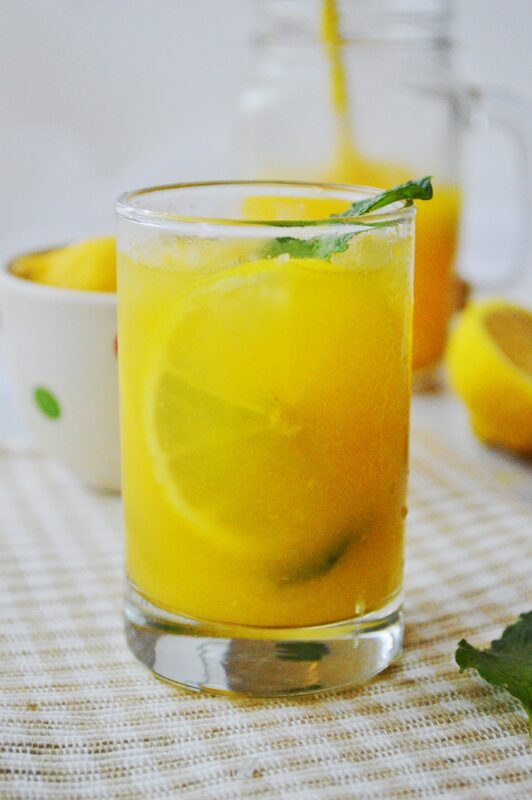 I love icy cold lemonades along with the twist of fruits. So perfect and energizing they are to quench our thirst. This drink also has mint leaves in them which really awakens you after just one sip. 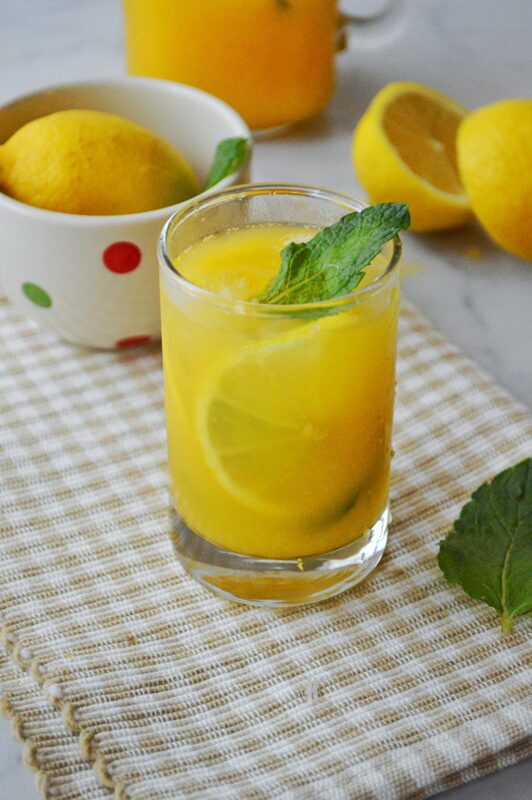 The best part about this drink is that you can make this few days ahead and refrigerate. 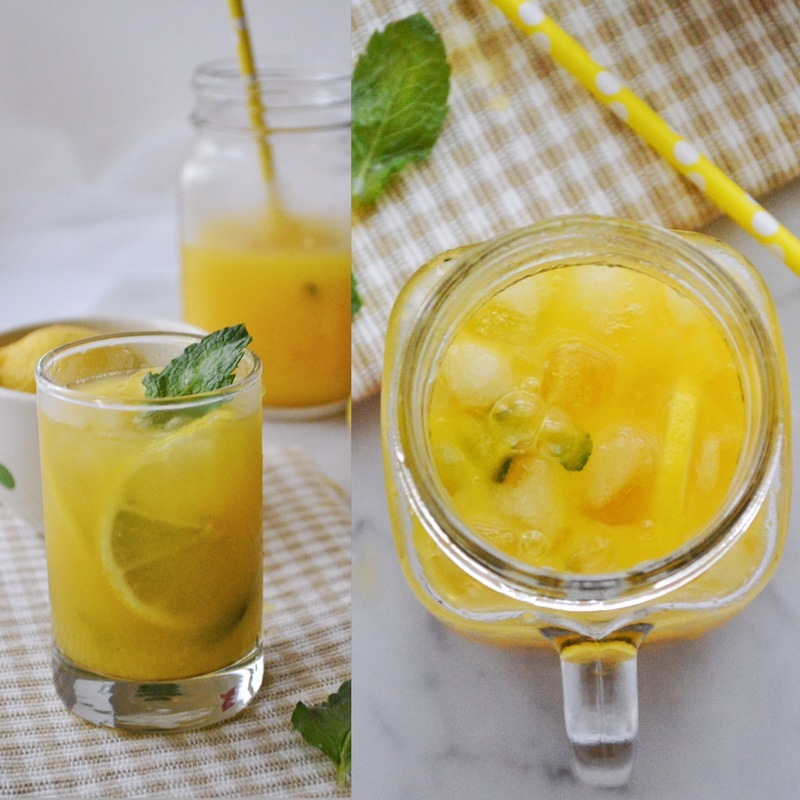 All you have to do is mix the sugar syrup with mango puree and ginger juice and refrigerate. When you want to drink it just add water and sip up. 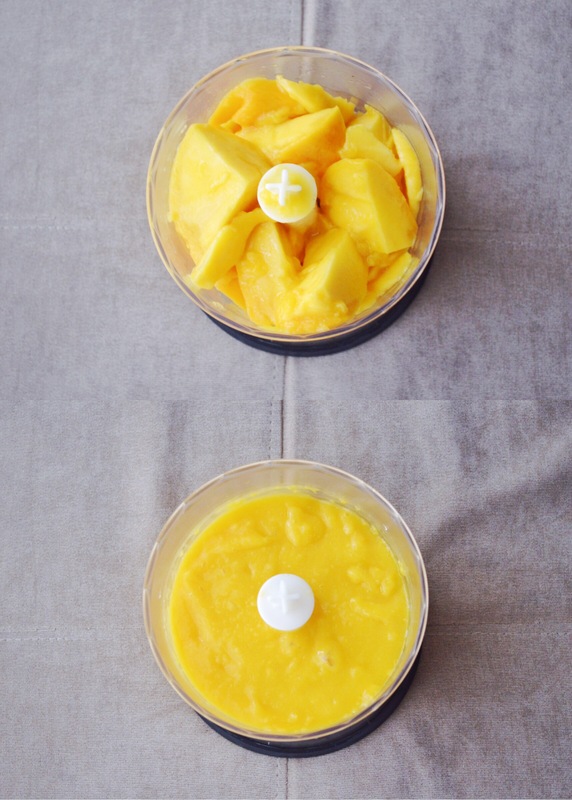 ✔️ To make the mango puree, remove the skin of mango cut it and grind it to a smooth paste. Strain it through a strainer and use. Make the sugar syrup by heating water and sugar, till sugar dissolved. Remove from heat and allow to cool. 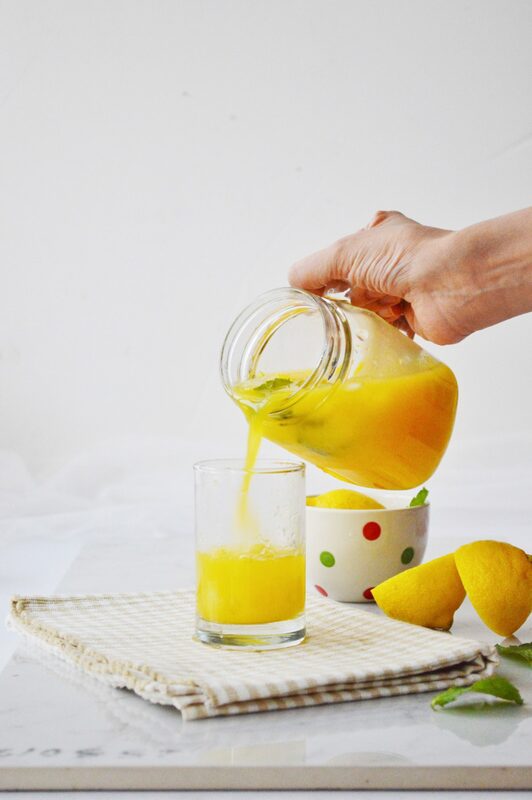 In a large bowl mix together the mango puree, lemon juice, ginger juice, sugar syrup and rose water if using. You can refrigerate this and use it when you want by adding the 2 1/2 cups of water. 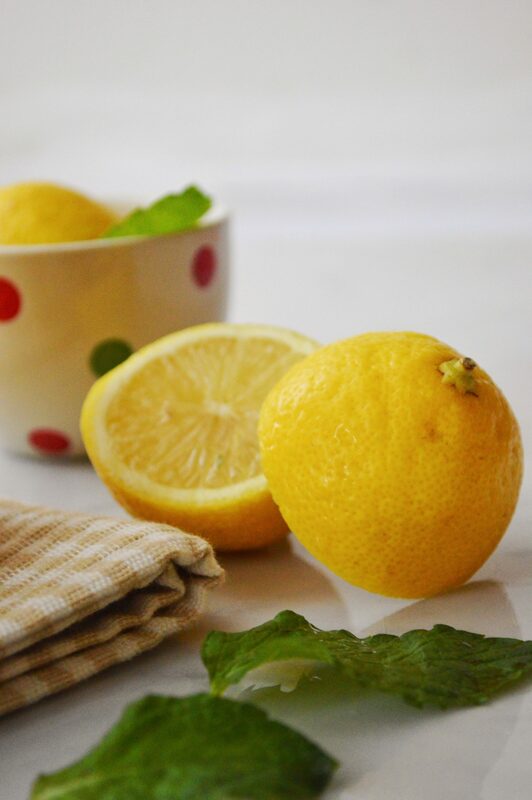 For serving in a glass add lots of cruhed ice, add in some broken and crushed mint leaves and pour in the prepared lemonade. 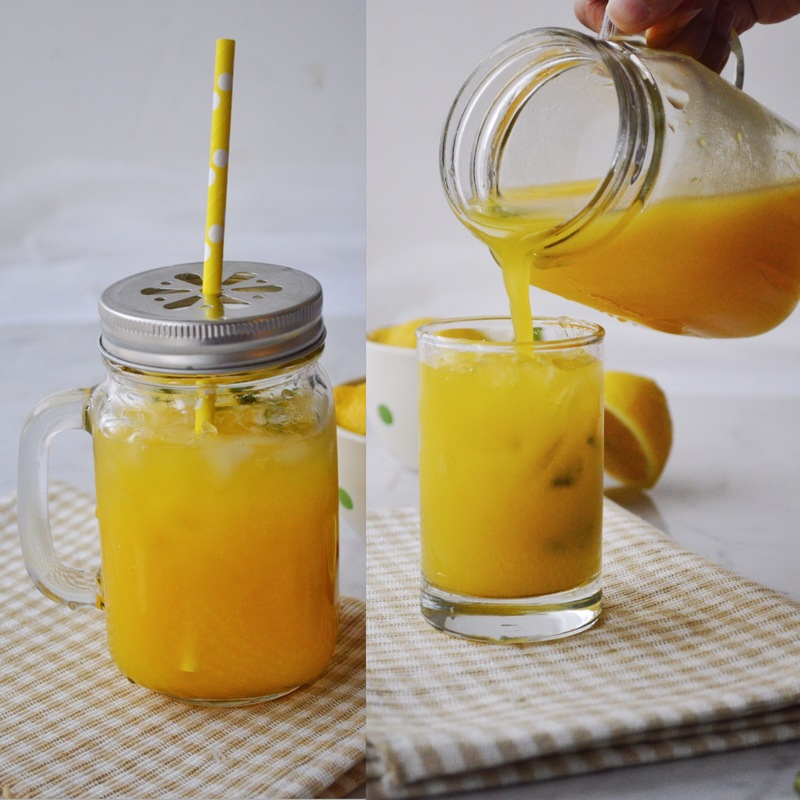 A very refreshing and delicious mango lemonade with a nice kick of the ginger. * To make the mango puree, remove the skin of mango cut it and grind it to a smooth paste. Strain it through a strainer and use. 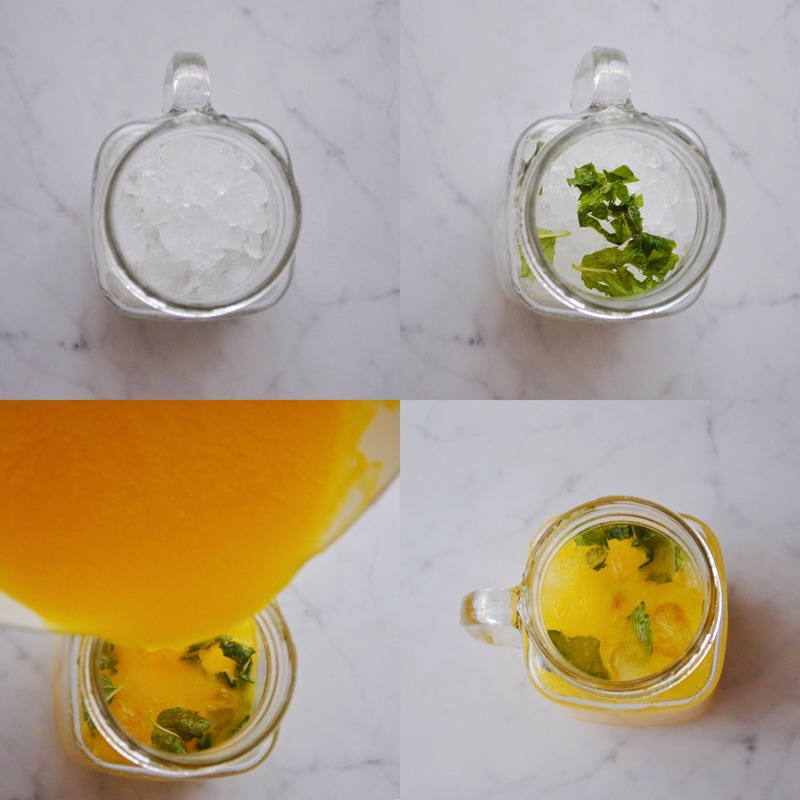 sadia – lucky you to have fresh mangoes at your fingertips – have I asked you for a namoura recipe yet? I had it once in Dubai – I have found various recipes but none of them convinced me, thinking you might have something you can recommend? Tried the egyptian basbousa, but the recipes I have need coconut which I don’t like, I’d like just a plain namoura with semolina moist and yummy- any tips welcome Polianthus! Great – I look forward to it, I have seen many recipes but up to now none of them have spoken to me! I look forward to seeing your take on it! One week to go till Eid I hear – big celebration planned with lots of wonderful food, are you planning a post on some Eid delicacies? look forward to it – it’s a hot ramadan at the moment – i guess you are inside with the AC on full! Yep! AC 24/7. Where do you stay? Do you fast? Hi Sadia – no I don’t fast, I’m not Muslim, but have many friends who are, and I worked with someone who just got back from Saudi Arabia – she told me she spent all day inside in the AC and that made me think of it when I read your post! Looks amazing!! I will definitely try this.